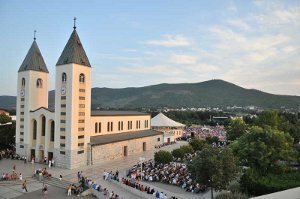 Meðugorje is a village in Bosnia and Herzegovina, located at the base of two hills, the cross mountain and apparition Hill. 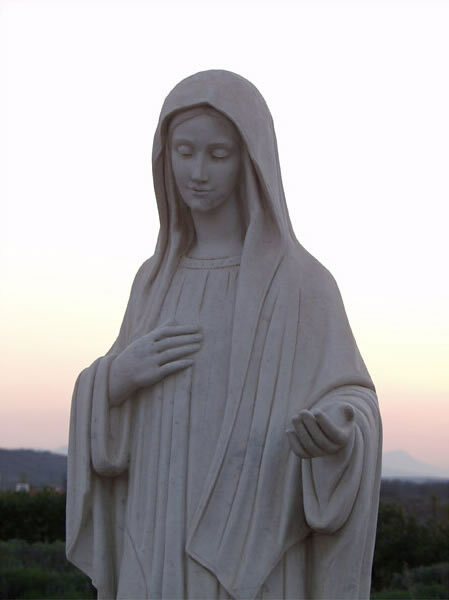 The name Meðugorje means “between the mountains”. 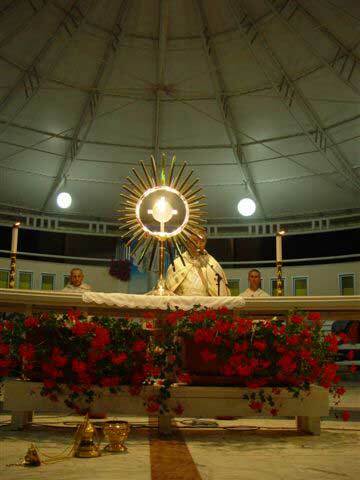 The population at the time of the apparitions was almost exclusively of an agricultural type whose crops were mainly tobacco and vineyard related, from which it scarcely drew a living. Today of course, things are much changed, but by the time the apparitions began the political climate was somewhat oppressive and dangerous: the Communist police were omnipresent and harshly suppressing any manifestation of religion. This event would upset the entire village, with repercussions around the world, religious or not. The season began on the 24th of June, 1981. On June 24th, 1981, six kids saw a bright female figure on the path that runs alongside the Podbrdo. The lady had a child in her arms.